Awesome lovely work…… Only a true love makes you do that…. Beautiful! Reminds me of Tom Waits. In a good way. Somewhere between Martha and Green Grass. Thanks for your Like on Love. This is a well written post. Yes this is true about love and life. Thanks for the poems. I write poetry and I appreciate the artists of the word. Take care and God bless. you are welcome. Good night as well. You’re a better poet than Lang Leav. Honestly. You should compile everything and create a book. I love this! Thank you. I had to search Lang. She seems to be quite good. So thanks for the compliment. So lovely. It’s refreshing when someone actually rhymes and meters something these days…. I could hear this as I read it. I read it to my friend sitting here, just now. It felt like lyrics, or a great slam poetry piece, or monologue. Tons of love and wishes from India..
As good- if not better- as when I last visited your blog. Lovely! A heartfelt poem. You hit me again!..love it.! Thank you. Glad to know you liked it. Beautiful and heartfelt love poem. Exquisite rhymes. The repetitions in the last verses of each stanza give the whole poem great strength. Very nice, loved it! You are a gifted poet…love the way u write…..
Well, this time the heart grabbed the pen. Beautiful expression to inner sentiment. That is so good to hear. Thank you. That trust level is amazing. No, scratch that, it’s not trust but rather knowing the truth of what the other feels. Amazing. Love, ah love. Great one! 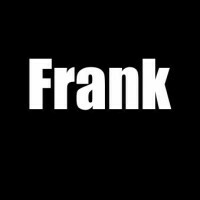 A story of hope, love and defiance with belief in reliance, how can you not like it, good job Frank I enjoyed it. An antithesis to Donne’s ‘Go and Catch a Falling Star’. True love, indeed. Sounds like true love, here. Sounds like a true love. I thought that was amazing writing. You’re welcome. I enjoy your work, and there’s so much more to read! Thanks again. And have a nice day. Reblogged this on Everyday Operations in Inspirational Living.